Waterfront estate evokes architecture of South Carolina's low-country. This gracious 11,000 square foot waterfront estate has been carefully designed for its premier site in Spring Island, a 3,000 acre nature preserve and island residential community in the heart of South Carolina’s fabled Lowcountry. Only a stone’s throw away from the historic ruins of the Old Edwards Plantation, the residence incorporates a Main House, Carriage House, Guest Cottages and Pool Pavilion garden in a historically-influenced compound arrangement. 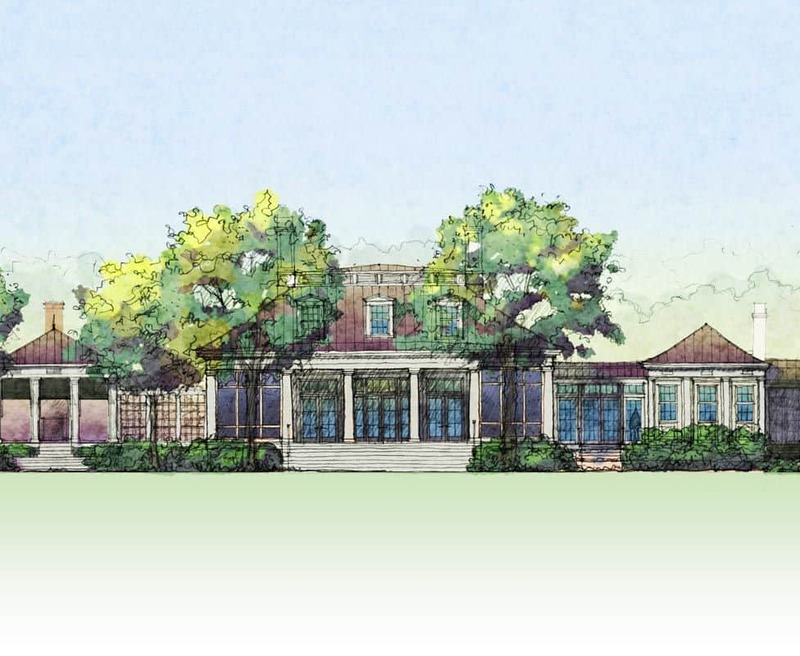 Inspired by the many Greek Revival homes throughout the Lowcountry, the architecture of the house will evoke an elegant yet understated feeling, right at home on the tidal marshes of the Harbor River. We are very pleased to have Stonemark manage a second project for us. Their dedicated oversight ensures that the budget and all changes to the work are kept on track. Stonemark's management of all the players and the program enables us to fully enjoy the entire process of building our new home.